It’s the natural evolution of the vanity license plate: emoji. 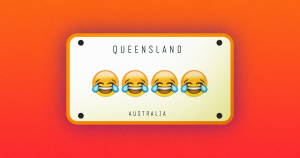 As of March 1, drivers in Queensland, Australia will be able to include one of five emoji in their license plates: laughing out loud, winking face, sunglasses, heart eyes, and the classic smiley face. Drivers will like need to pay a fee somewhere between $160 to $500 in Australian dollars to get the new emoji, according to 7News. One problem remains: police could be thrown off by the unusual new plates. “How do you write down the emoji in your number plate after an accident?” Queensland Law Society president Bill Potts asked the Brisbane Times. More on license plates: A “Smart” License Plate: To Buy or Not to Buy? The post Australian License Plates Can Now Include Emoji appeared first on Futurism.